The highly skilled attorneys at the law firm of Campbell & Associates represent the people of Eden, New York, who have been injured by the negligence of another. This includes personal injury cases related to motor vehicle accidents, construction accidents, trucking accidents and railroad accidents, as well as slip and falls, wrongful death and aviation accidents. Named one of the Best Law Firms in 2017 by U.S. News, we also hold the highest peer rating possible of AV Preeminent* from Martindale-Hubbell for our commitment to legal ethics and record of outstanding results. We believe that justice should be available for all and that the rights of the injured must be aggressively protected. 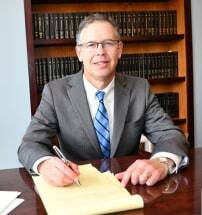 As we serve the people of Eden, Buffalo, Dunkirk, Fredonia and Erie, Niagara, Cattaraugus, Chautauqua, Wyoming and Genesee counties, our law firm's focus is the fact that every client matters and their future should be financially stable. Every case gets our full attention, and we offer free initial consultations for residents of New York state who have been harmed by a careless individual or organization. We represent those who have had the following types of injuries: catastrophic, back and spine, disc herniation, broken bones or fractures, paralysis, burns, traumatic brain injuries, and sports injuries and concussions. During this difficult time in an individual's life, flexibility is more important than ever. At the law firm of Campbell & Associates, we go one step further to help our clients by accepting credit card payments in office. Throughout the years as we have recovered settlements and verdicts for millions of dollars, we have proven our commitment to guarding the rights of the injured.